I attended the funeral Mass of June Auth. She was a mother of 13 children and a convert to the Catholic Church. She was 94 when she passed away and especially in her last year I heard her say joyfully with tear in her eyes that she knew without a doubt that the Catholic Church is the true church Jesus established. She is such an inspiration in her faith and I believe this photograph is a sign that God is rewarding her faith and answering her prayers because there were many relatives at the Mass who were not Catholic. I am trying to share this with as many people as possible. 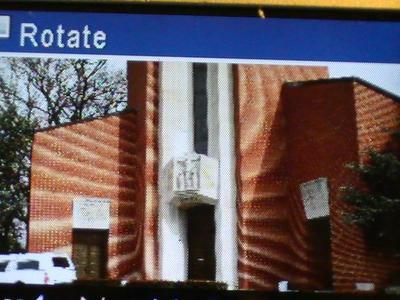 The picture is of the outside of the church and the camera picked up what human eyes could not see. It is reminiscent of the resurrection. Very informative,you have posted very useful information.I like reading it. I am pleased to read the post,you have written very nice post,which is good to read.I will share the post with my friends. People need to understand the fact and it is our responsibility too that we do realized that in order to enjoy the joys and the happiness of the life they first need professional editing services and an eye to watch the joys of the life. So they that will be able to have fun. Amazing, indeed. There are really strange and unexplained things that happen in our daily lives. In fact, miracles do happen every time as the God who performed miracles to different bible characters before is still the same God we have today. Like Ms. Zelly, will you please whisper my name to Ms. June Auth to ask Jesus to bless me children as she had 13. I am childless lady who is struggling to have children of our own. Thank you & God bless you more. 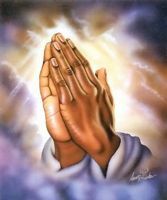 Rest assure that you will also be in my prayers. belle. I completely believe that the Catholic Church is the true church thats why the enemy is eager to destroy it. The woman is now one of the Blessed. Can U say my name with her when u pray? pls tell her I need also graces to combat life's battles.. Thank you for sharing this testimony..